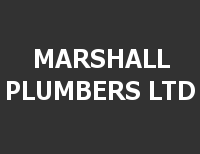 At Marshall Plumbers Ltd we specialise in Maintenance work, New Housing, Renovations and Alterations. From Light commercial work to residential we have over 26 years of experience. With a long standing and trusted name we provide quality work for all your plumbing needs. As your expert plumbers, we supply an array of services including maintenance and constructing new plumbing systems. With over 26 of experience you can trust us to offer you a reliable, quality and trustworthy service.